Miss Justice - Expert Motoring Lawyer defending drivers nationwide: Did You Survive Blue Monday?! 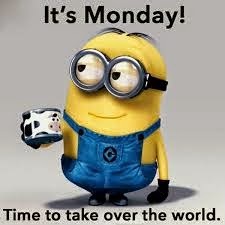 Did You Survive Blue Monday?! 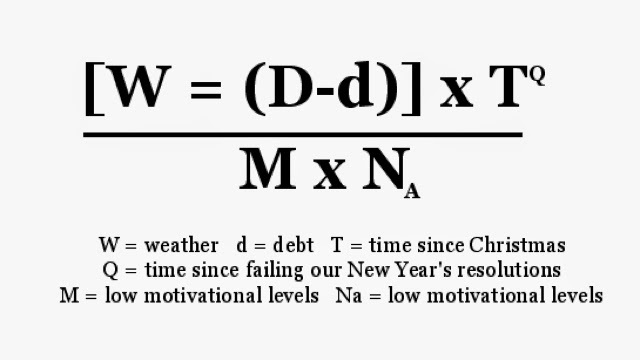 Dr Cliff Arnall's formula is intended to prove the ‘scientific’ fact that the third Monday of January is the most depressing day of the year. This formula was hugely criticised and it quickly transpired that this ‘calculation’ was commissioned by Sky Travel for advertising purposes. Even though the scientific calculation has been proved as false, blue Monday is still ingrained in society's perception with the January blues reaching their height on this midway through the month point. This has been shown during the past three years, where social media has seen over 2 million negative comments on this day alone. So why are people so negative? The post-Christmas hangover is in full swing with the arrival of unpaid credit card bills on the doorstep, along with the knowledge that most of your next payslip will probably vanish into thin air paying off the stragglers of Christmas debt. It’s also the time of the month where many people are suffering from severe self-loathing and guilt at failed New Year’s Resolutions. Which after setting themselves year after year thought this was finally the year they would succeed. Monday itself is dreaded for most every week for obvious reasons, work, traffic, annoying fellow commuters and this isn’t helped by the wet, cold dark mornings of January. Neither is it helped by the fact that many don’t see any daylight as it is dark before they even leave the office! Treat yourself to a cheap bottle of wine with a friend.However, don’t make your Monday more depressing by being charged with drink driving and facing a 12 month driving disqualification! January is bad enough as it is, don’t make it any more depressing by getting yourself in trouble with the law. Here at Geoffrey Miller Solicitors we see too many people who face a court appearance, a driving ban and losing their job over a just few seconds of poor judgement. Fortunately our unique strategies and our unparalleled expertise mean that more than 9 out of 10 drink driving cases that we take to trial result in a complete acquittal. So whilst we can’t cure your depression, we can hopefully help to make your blue Monday a healthier shade of lilac.